The possibility of egg storage after stripping was examined in pikeperch (Sander lucioperca). The storage temperature was adjusted to 4 °C, as the cold storage temperature, and to 15 °C, as the natural spawning temperature of pikeperch. Batches of 2 g egg aliquots from four females were fertilized at 0, 12, 24, and 48 h post stripping (HPS). The highest fertilization and hatching rates were obtained immediately after the stripping of the eggs. Thereafter, the values decreased significantly (P < 0.05); fertilization rates dropped to 5% at 48 HPS at the storage temperature of 4 °C and to 10% at 24 HPS at 15 °C. In addition, with elapsing time after ovulation, the embryo mortality and larval malformation rates increased significantly. The embryo mortalities increased from 35% at 0 HPS to 100% at 24 HPS at 4 °C and at 12 HPS at 15 °C. The larval malformation rates also increased from 36% at 0 HPS to 71% at 12 HPS at the storage temperature of 4 °C. Pikeperch eggs, therefore, should be immediately fertilized after stripping to obtain the highest egg fertilization and hatching rates, as well as the lowest embryo mortality and larval malformation rates. The authors would like to thank the Elsevier Language Editing Service for improving the English of the manuscript. 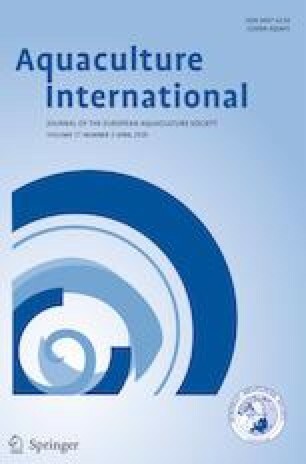 This study was financially supported by the Ministry of Education, Youth and Sports of the Czech Republic—project “CENAKVA” (LM2018099), project Reproductive and Genetic Procedures for Preserving Fish Biodiversity and Aquaculture (CZ.02.1.01/0.0/0.0/16_025/0007370), and the Ministry of Agriculture of the Czech Republic, project NAZV (QK1710310). The experimental procedures were performed according to the ethical rules of the EU-harmonized Animal Welfare Act of the Czech Republic. The unit is licensed (No. 53100/2013-MZE-17214) according to the Czech National Directive (the Law against Animal Cruelty, No. 246/1992).